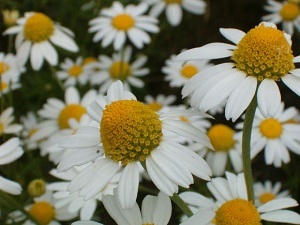 Natural Health News — An antioxidant compound that can be found in chamomile tea, as well other plant foods, could halt the spread of cancer cells, a new study claims. However, writing in the journal Proceedings of the National Academy of Sciences researchers from Ohio State University, show that the antioxidant flavonol apigenin can take this ‘superpower’ away from cancer cells, essentially reprogramming them to become normal cells again. Chamomile tea along with parsley and celery are the most common sources of apigenin, but it is also found in many fruits and vegetables common in a healthy plant-based diet such as the Mediterranean diet. In a statement Andrea Doseff, associate professor of internal medicine and molecular genetics at Ohio State and a co-lead author of what was a highly technical laboratory study said that although we all know we need to eat a ‘healthy’ diet, we often don’t fully understand the mechanisms of how that helps us to stay healthy. Previous studies have shown that apigenin has strong cancer chemopreventive effects. Although human studies into the protective effects of chamomile itself are rare, laboratory and animal studies indicate that chamomile extracts have anti-inflammatory, antihyperglycemic , antigenotoxic, and anticancer properties.